For Stephanie Brown Trafton, a year made a world of difference; not only in the discus ring, but in her personal faith, as well. The track and field standout who had never won a U.S. track and field title or even an NCAA championship while at Cal Poly, won the discus at the 2008 Olympics. She followed that with three U.S. titles (2009, 2011, 2012) and an American record this year in the event. The 2008 Olympic gold was the first time in 76 years (since 1932 when Lillian Copeland won) that an American woman won the event at the Olympics. From there, it was as if a new world opened to Brown-Trafton, who is participating in her third Olympics and hails from the small community of Galt, Calif. (population 24,081) where she was given the keys to the city after winning the gold in 2008. She ended 2008 ranked No. 1 in the world, with a personal best throw of 217-feet, 1 inch. She also became the first female in a throwing event to be awarded the Jesse Owens Female Athlete of the Year, the highest honor given by USA Track and Field. 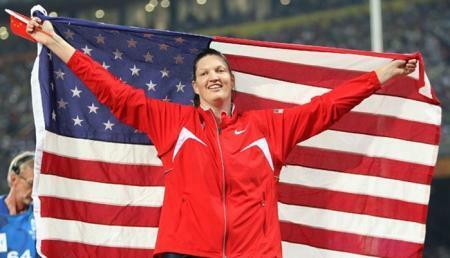 In 2009, she kept rolling by winning her first U.S. title in the discus on June 25. And once again she had the best throw in the world (217-2) by throwing another personal best. Although the success has helped her grow spiritually, it has also caused her to realize how much she needs to depend on God. “I have had to really lean on God more than ever for strength and peace in the last year,” says Brown-Trafton, who is 32, married and works in the information technology services industry when she’s not practicing or competing. Her continued growth in Christ has been helped by encouragement from others, which in turn has helped give her a noticeable enthusiasm for delving into God’s Word. 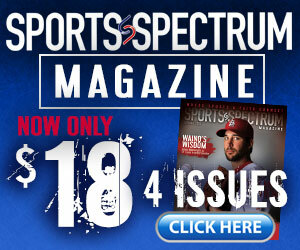 Brett Honeycutt is the managing editor at Sports Spectrum magazine.